Are you an unconventional thinker who likes to go on his own path and not blindly follow other opinions? Are you eager to continuously improve yourself? 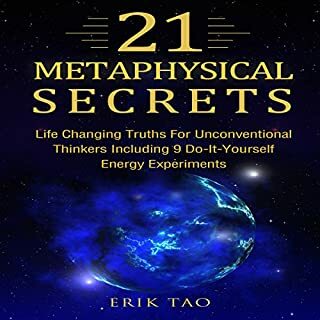 Discover the 21 Secrets of Metaphysics and use the law of attraction and manifestation. Secrets on how to use the law of attraction, how to find your purpose in life, how to manifest success, and more are revealed. I could not make it through this book. At first I thought the reader was some sort of automated recording. He read the book in almost a monotone. He could make a racy book dull. I am also not sure how interesting the material would be if read by someone else. There are few examples or stories to make the concepts relatable. I kept stopping this book and listening to something else only to pick it up again because I wondered how it would end. I stopped it when I got tired of the accounts of battles with monsters. 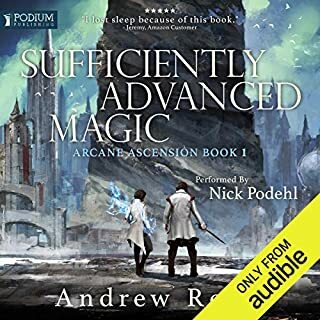 The book reminded me of the way action takes place in gaming with special abilities used to battle monsters in order to gain points or treasure and make it to the next area or section of play. This in and of itself is not bad. It is just that the main character sounded like he was reporting the events without really being involved in them. The author has the main character mention several times that he is not very social, avoids people a lot and doesn't pick up on social cues very well. It made me wonder if it wasn't the author that was socially backwards and so wrote his main character that way. It made it hard to relate to the characters and to really visualize the scenery. I am not sure whether I will pick up the sequel or not. Perhaps the author will hit his stride in the next book. 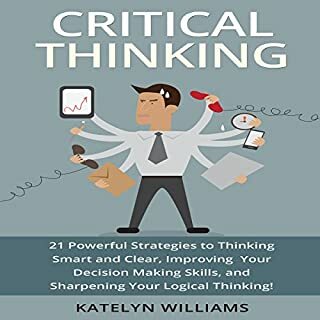 21 Powerful Strategies to Thinking Smart and Clear, Improving Your Decision Making Skills, and Sharpening Your Logical Thinking! Many believe that people are just born with the ability to think critically, but that's not true! Critical thinking is a skill that anyone can learn how to do and how to build upon in order to make themselves master critical thinkers. Those who are in college, in careers where they have to make decisions on a regular basis, or would just like to know how they can become better learners should take a listen to this book. What did you like best about Critical Thinking? What did you like least? This book had a point and tried to make it but never got past vague generalisations. It was like waiting for the actual book to start the whole time I was listening. What could Katelyn Williams have done to make this a more enjoyable book for you? Perhaps if the author could have given examples to make the concepts more relateable. Do you think Critical Thinking needs a follow-up book? Why or why not? did not bother to return the book since I listened to the whole thing. 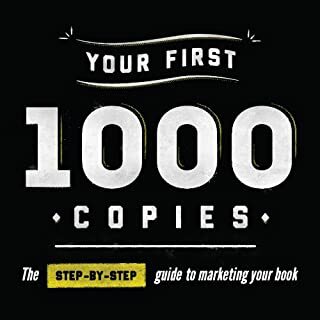 In today's Web 3.0 world, to succeed with an idea, you must learn how to base that idea in the principles and foundational components that offer the highest degree and possibility of nurturing and mutating your idea into a fast moving virus. These viral marketing principles are at the very heart of what makes marketing and innovation in today's economy tick. 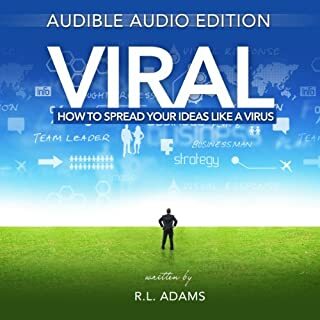 By learning how to leverage and implement the strategies and principles of viral marketing, you can create your own fast moving virus that launches into a crescendo to infect the world and cause an idea epidemic. What disappointed you about Viral? This was a one page idea fluffed out into a short book. It is made up of generalizations and platitudes. What was most disappointing about R. L. Adams’s story? He could have given concrete instructions but there were only brief ideas. Who would you have cast as narrator instead of Bill Fike? I don't know who to suggest. I have to admit that I did not read any reviews before buying this book.